Today we are pleased to feature an interview with Australian vegan author Kathy Divine. Learn about her new book “Plant-powered Women” and how you can be a part of her campaign to bring free vegan books to countries around the world and assist in spreading the vegan message globally. VP: Tell us about Plant-powered Women. What is the premise of the book? 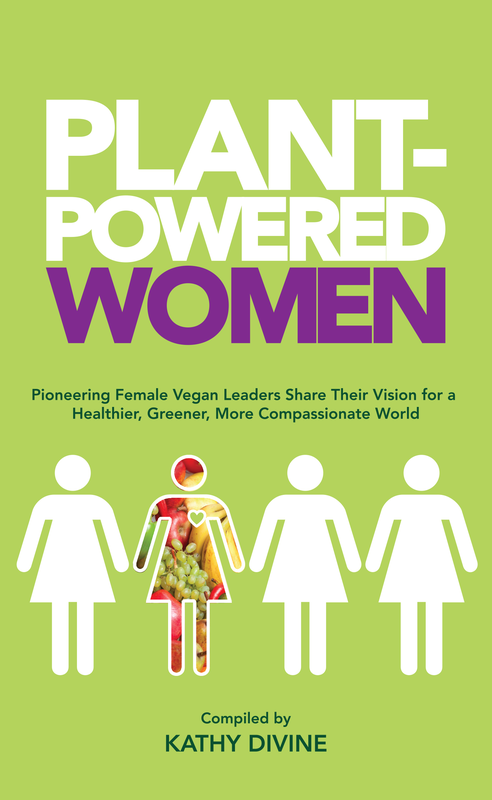 KD: Plant-Powered Women is a collection of inspirational interviews and essays by 30 vegan women from around the world. There are contributions from the US, Australia, the UK, Mongolia, India and Vietnam. I strived to create something that was a powerful collection of stories and advice from women I regard as some of the leaders and pioneers in the vegan movement, whether that be in the media, the corporate world or in the kitchen. Vegan women are amazing leaders, doing extraordinary work worldwide to raise awareness about the compassionate, healthy and sustainable vegan lifestyle. Plant-Powered Women is an acknowledgement, celebration and illustration of that fact. VP: What are you hoping that the book accomplishes? KD: I’m hoping that whoever reads the book will be inspired to embark on a vegan lifestyle, and will embrace that choice for life. The tone of the book is an incredibly supportive and loving one and because of this, I feel that anyone who is open to learning about the vegan lifestyle will find tremendous encouragement from reading it, and within that supportive environment, will make a successful transition to veganism. In addition to being inspirational in nature, Plant-Powered Women also includes helpful tips about how to veganise your kitchen, facts about the health benefits of the vegan lifestyle as well as perspectives from ethical vegans who run animal sanctuaries and vegan advocacy organisations. In addition to inspiring pre-vegans, another purpose of the book is to inspire vegans to follow in the footsteps of the great vegan women featured in the book by perhaps beginning their own vegan advocacy project. One of my joys in life is mentoring and assisting upcoming change makers. I’m always available to correspond over email with anyone who has an idea for a vegan book, website or another kind of vegan related project and would like my advice, tips or perspective on how to begin and complete their project, whatever it may be. VP: Your Indiegogo campaign has a unique angle to bring vegan books to different countries. Can you tell us a bit about that? KD: My dream is for a vegan world to replace the current cruel one. Like many people, I wish all beings had the freedom to live a peaceful, cruelty-free life. That dream can only become realised if people in all countries have access to vegan information. Being from Australia, I am fortunate enough to have access to countless websites and books on the topic of veganism in English, my native language. Not everyone is that fortunate. For this reason, I want to translate my books into languages for readers in countries that have few or no vegan books. I’m also focused on countries that have economic barriers to obtaining vegan educational materials and information. The goal is to provide free vegan books to the people in these countries, in their native language. The plan is to donate books to their libraries and other places where people can access them for free. We will also be doing book launches where the public will be given free books. For every book I sell through the Indiegogo campaign, I am able to provide five free translated books. VP: How will you do the translations? How does it work? KD: The first people that have approached me are from Vietnam. I have a vegan friend who works at a university there who is translating my second book Vegans Are Cool into Vietnamese. The spanish translation of Vegans Are Cool is also underway. I have someone wanting to translate the book into Chinese also. I’m open to requests from people from all countries. I realise it’s a huge undertaking and goal, but everything worthwhile I’ve ever done has started with a dream and a vision, and I feel this is one that’s definitely worth pursuing. VP: Tell us a bit more about yourself. What was your inspiration to become a vegan author? KD: I wrote my first book “Forever 21” based on a suggestion from a friend. It’s a fun take on the fact that vegans often look younger than their actual age. At the same time as writing and compiling that book, I was interviewing cool vegans from around the world for my blog www.VegansAreCool.com. So, the second book “Vegans Are Cool” was developed from that concept. My inspiration for writing and compiling books comes from the animals who suffer needlessly everyday. I feel an ever-present, strong and urgent need to advocate on their behalf. VP: What is your own favorite book? KD: Wow, that’s a tough one! My favourite types of books are spiritual ones. There are two books that have influenced me a lot and I treasure: Tao Te Ching by Lao Tzu and Secrets of Effortless Spiritual Practice by Supreme Master Ching Hai. Kathy Divine is an Australian author passionate about sharing the benefits of the vegan lifestyle. She loves interviewing vegans from around the world and sharing their inspirational words with a wider audience. 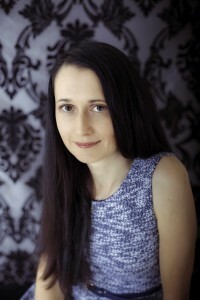 She began with interviewing outstanding, pioneering vegans on her blog www.vegansarecool.com and eventually transitioned into publishing books. When she’s not writing and compiling books, she enjoys getting out into nature and spending time at the beach. Eating at her favorite vegan restaurants and travelling are two things she also really loves to do. Vegans Are Cool because they care. Caring about animals, the future of the planet and their health and those of their loved ones is what makes vegans cool.